Join us to celebrate 10 + 1 years of restoring dignity! The 2019 Higher Ground International Cultural Gala & Village Leader Awards will include an elegant African-inspired dinner filled with music, dancing, a fashion show, and a live auction. This year’s theme is Expanding the Village - A Focus On Women’s Empowerment! The evening will focus on the Village Leader Awards, where five outstanding leaders in the community will be recognized for their dedication and work impacting the African community. Your attendance directly supports Higher Ground in serving the people of Africa, both here in Rhode Island communities and in the rural villages of West Africa. Five awards will be presented to outstanding members of the Higher Ground International community. Mike Ritz joins Higher Ground International as Emcee for this year's 2019 Cultural Gala & Village Leader Awards, Celebrating 10 + 1 Years of Restoring Dignity! He has been the Executive Director of Leadership Rhode Island since 2009, after serving two years on the organization’s board of governors. Over the past 20 years, he has served as a tri-lingual interrogator in the U.S. Army, established his first corporation by the age of 25, motivated people to excel at his fitness Boot Camps in Boston and Philadelphia, and served as the New England regional manager for an international health care company based in the United Arab Emirates. He also was an on-call analyst for CNN. 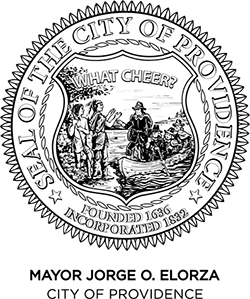 Recently, Mike became a founding member of the Providence Cultural Equity Initiative where he serves as the volunteer Director of Cultural Food Initiatives. Marie Michaelle is a Haitian-born published author and spoken word artist in the business of poetry. She believes in the power that words have over human emotion.She writes and performs to inspire the voiceless. Her delivery is designed to please audiences verbally, visually and spiritually. She believes in feminine power and exudes it with no apologies. Her experience in this art form on a professional level stretches over a 10-year period. On a personal level she was born to do this. More info can be found on her website www.mmichaelle.com. Prof. Eileen N. Kwesiga had extensive experience in corporate America before going into Academia. With an undergraduate degree in accounting and a master’s in business education with computer science focus, she worked for Global Companies in North America such as Sherwin-Williams, Progressive Insurance, Lincoln Electric and General Electric among others. In these organizations she worked on multi-million dollar projects implementing and overseeing software installations. After many years of working in corporate America, she felt called to higher purpose to be a change agent in higher education. She obtained a doctorate in Organizational Behavior and Human Resource Management at University of Texas at Arlington, and is currently a Full Professor in the Department of Management at Bryant University. Her passion both inside and outside the classroom is creating sustainable knowledge that has meaningful impact. On the international scene, she is currently working on partnerships with United Nations to support stigmatized work that affect women’s right to work globally. She is a founding member of African Academy of Management which so far has supported the graduation of 25 PhD scholars from the African Continent. She is also involved in international trade partnerships to create visibility for African farmers. In the local Rhode Island community, she sits on the boards of several non- profits and has served on the Rhode Island Commission for Women on appointment by the Governor of Rhode Island. She is a past presidential fellow of the Campus Connect organization and to she has partnered with 200+ local and international nonprofit organizations through her service learning class. She is also an accomplished academic and her research appears in multiple management journals. Thank you to our outstanding and supportive sponsors!